Simple and stylish, this self stripe design (1cm. wide) will enhance the look of your rooms for years to come. 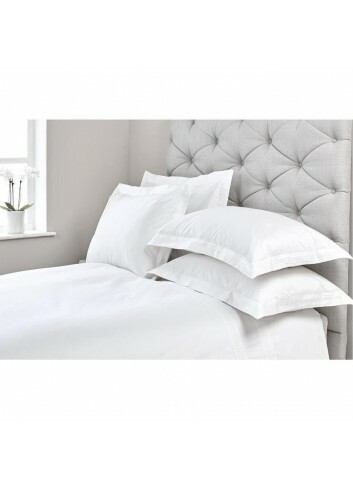 Treat yourself to the Ultimate in Cotton Bedding, this Luxurious and Substantial Egyptian cotton Bed Linen made from the World's highest quality yarns in one of the highest thread counts available - 1000 TC. You will love this product which will keep its thickness, softness and lustre for many years to come. 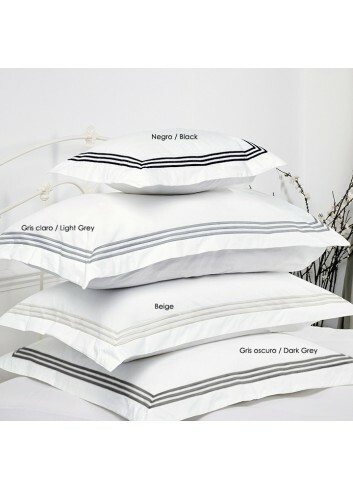 The Oxford pillow cases (+5cm) have a beautiful one row cord detail. The Hotel Classic Collection in 5 colours! This weave is widely used by Hotels with a higher class. Finished in Portugal from 100% Egyptian cotton, sateen weave. Beautiful Colours, it is both practical and attractive. 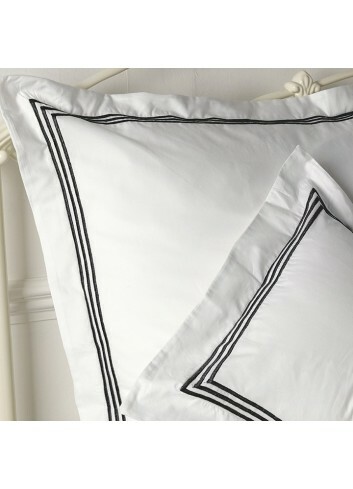 This elegant pillow case in 600TC is beautifully finished with a grey satin stitch cord on the Oxford edge duvet cover. 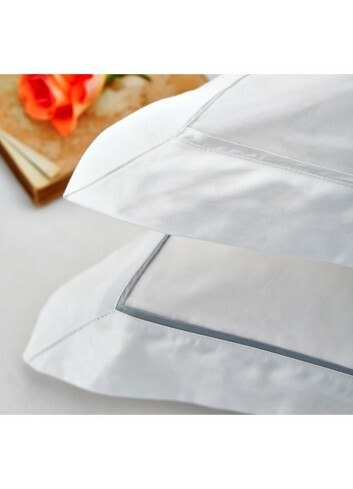 The housewife pillow cases are plain white with no grey embroidery. Fabric weight: 160g/m², Woven with single ply, long staple 100% Egyptian cotton yarn, sateen. 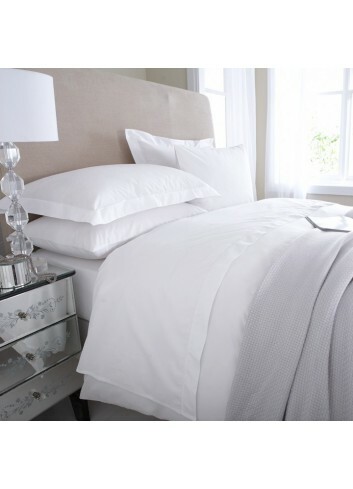 In Egyptian Cotton 300TC we have this beautiful Jaqueline-collection in Winter white and Grey. 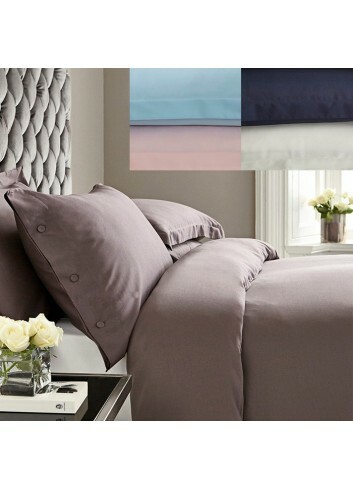 This will make your bedroom timeless Classic and very elegant - all year around. 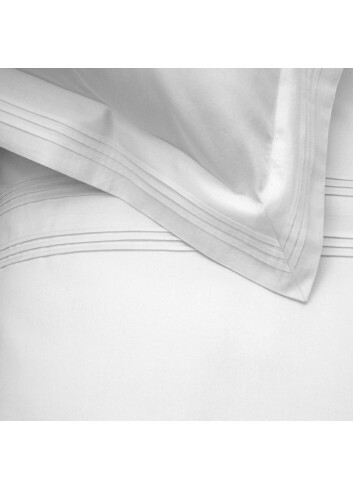 Luxurious Egyptian cotton Bed Linen made from the World's finest yarns in 800 TC. An investment in bedding, as this quality will last for many years to come. The cording is available in black, beige, light grey or dark grey. Fabric weight: 190g/m2 Woven with single ply, long staple 100% Egyptian cotton yarn. Fabric weight: 120g/m². 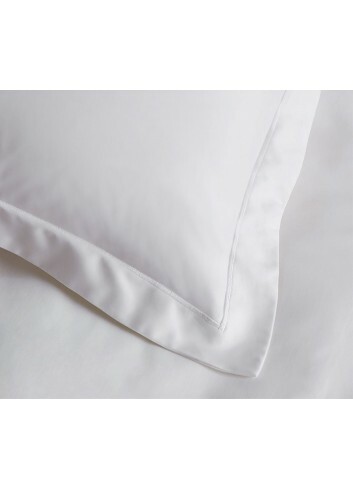 Woven with single ply, long staple 100% soft natural Egyptian cotton yarn. 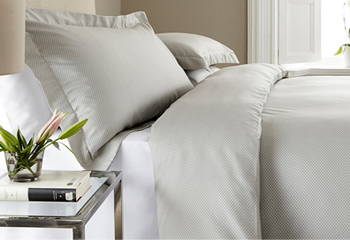 This timeless classic - New York collection - is made of 100% Egyptian cotton sateen with 300 TC and has been yarn dyed. Available in one colour only. 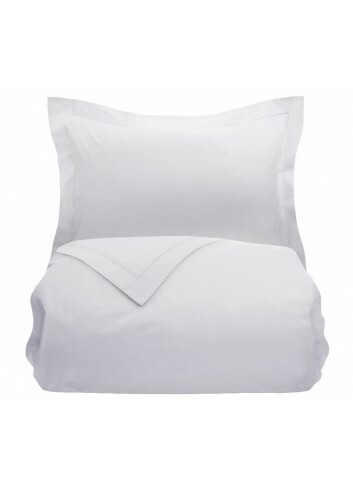 The items are sold separately - you can choose from Pillow cases and duvet covers only.